LG was among the first smartphone manufacturers to roll out the Android Marshmallow update starting last year. While those using the budget-friendly LG G Stylo on Sprint started receiving the Marshmallow update towards the end of last year, it is only now that those using the newer LG V10 are starting to see this new operating system. LG has quite a number of devices in the market, including those made in conjunction with Google. Usually, Google-owned devices are the first to receive any Android OS update. However, the best part of the latest LG-made Nexus 5X, as well as the new LG G5, is that both devices come pre-installed with the latest Android Marshmallow OS. 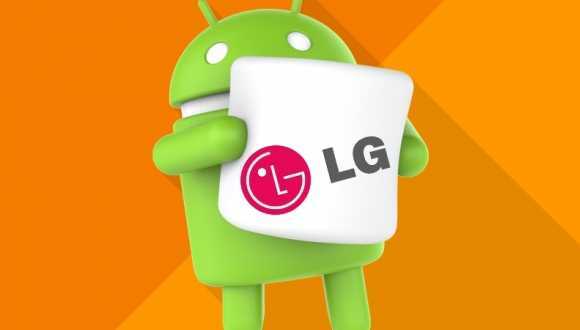 If you own the older LG G2, there is really little to worry about as reports are rife that this device will be receiving the new Android Marshmallow update. Even though this has been mentioned on several tech sites, the Life’s Good Company has not dished out any details regarding the specific date of rolling out the LG G2 Marshmallow update. As noted earlier, LG has already rolled out the new OS to those using last year’s LG V10. This phablet will now get to build number MRA58K with this 850MB update, but it is currently available to those using the international variant of the phone in South Korea, Turkey and few other regions. The update brings along the expected power-saving Doze feature, revamped silent mode, dynamic auto-brightness adjustment, new app permissions and settings as well as Direct Share. While there are current reports that LG G Stylo Marshmallow update is currently rolling out to those on T-Mobile, nothing has come out yet with respect to the LG G Flex 2 Marshmallow update. This device is expected to receive this OS upgrade at some point this year, but the exact time is not known. Meanwhile, those on LG G4 started receiving the update towards the end of last year, but this was only on Sprint. Those using the G4 on T-Mobile, AT&T and Verizon began receiving the same update last month while those on US Cellular started getting the LG G4 Marshmallow update back in January this year. At the same time, if you are using the LG G3 smartphone, it is time you started checking out for the Android Marshmallow update as it had previously been reported that the process will begin today, March 14.